Leave it to art to create new fears in your life. 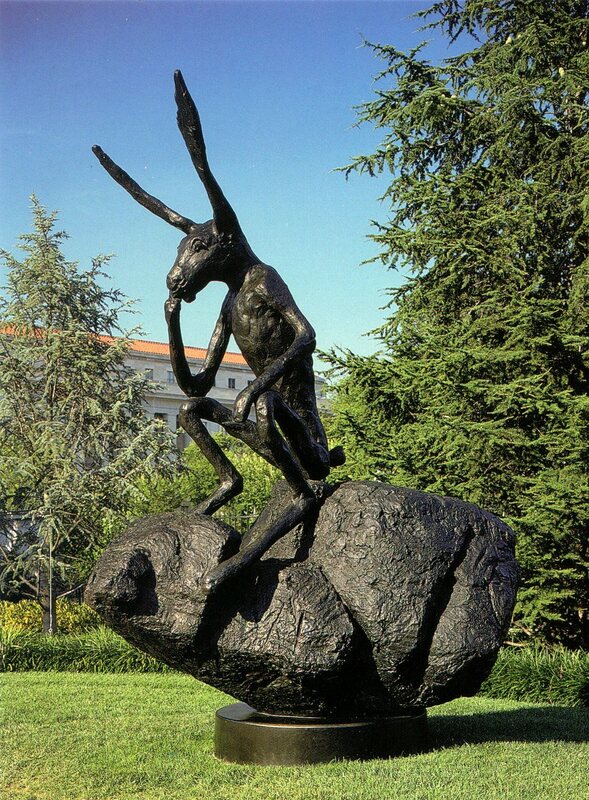 Until recently I wasn’t afraid of giant, highly evolved rabbits trying to take over the world. 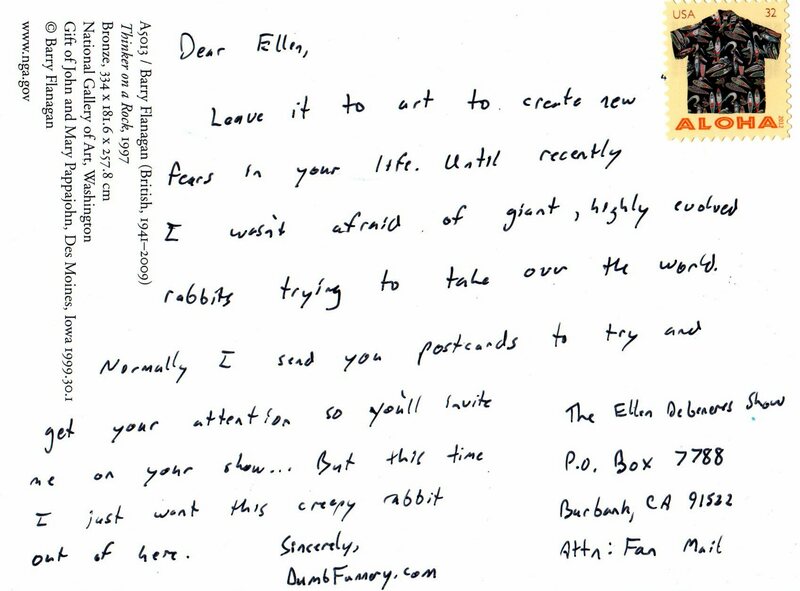 Normally I send you postcards to try and get your attention so you’ll invite me on your show … But this time I just want this creepy rabbit out of here.